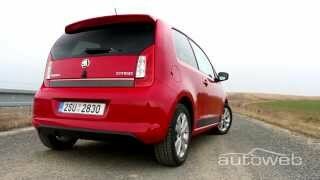 Skoda has revealed a new sporty version of the Skoda Citigo, the 2014 Skoda Citigo Sport, which will have enhanced sports styling, lowered suspension and bespoke interior. 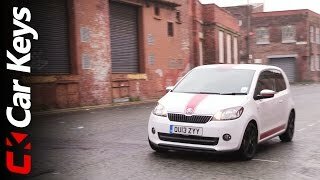 The exterior of the Citigo Sport boasts a dynamic look, black 15-inch ‘Auriga’ design alloy wheels, fog lights, tinted ‘sunset’ windows, a sports suspension, a front and rear spoiler and a rear diffuser and contrasting racing stripes running from the front to the rear. 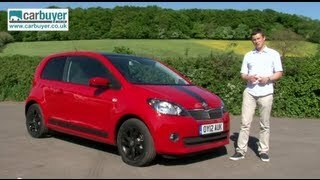 In the interior the Citigo Sport received distinctive black and red sports seats, a three-spoke leather steering wheel with red stitching, leather handbrake and gearstick gaiter with red stitching and matching floor mats. A two-tone grey and black dashboard and unique grey décor instruments add to the car’s exclusive appeal. 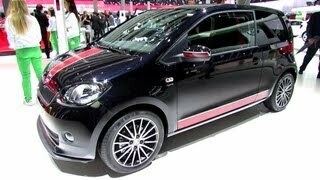 The Citigo Sport is available only with the 59bhp 1.0-litre engine. It will be available in three colours; Candy White with red stripes, Tornado Red with black stripes and Deep Black with red stripes. 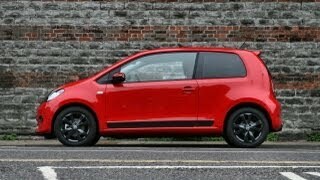 The Citigo Sport is on sale now costing £10,290 for the three-door version and £10,640 for the five-door.